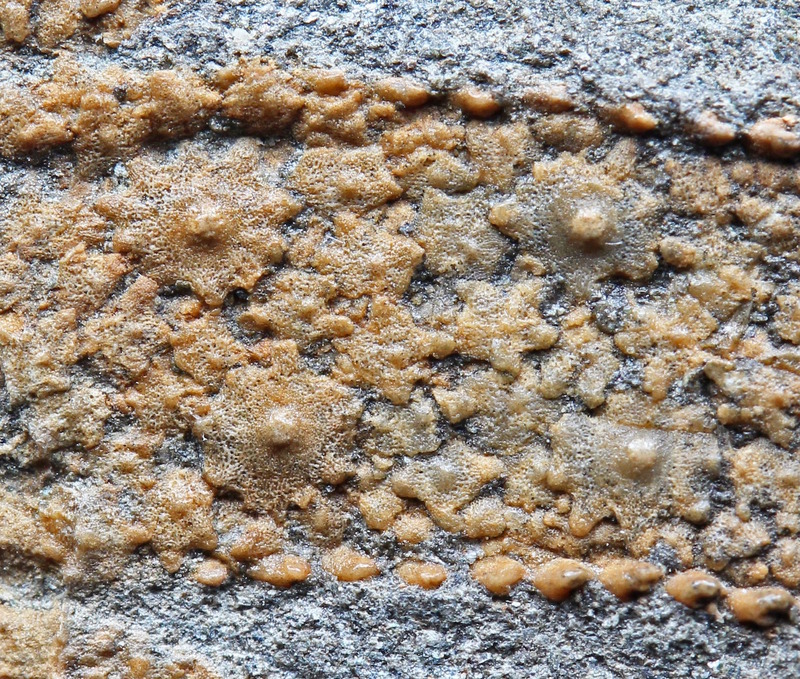 Fossil of the Month, January 2015. 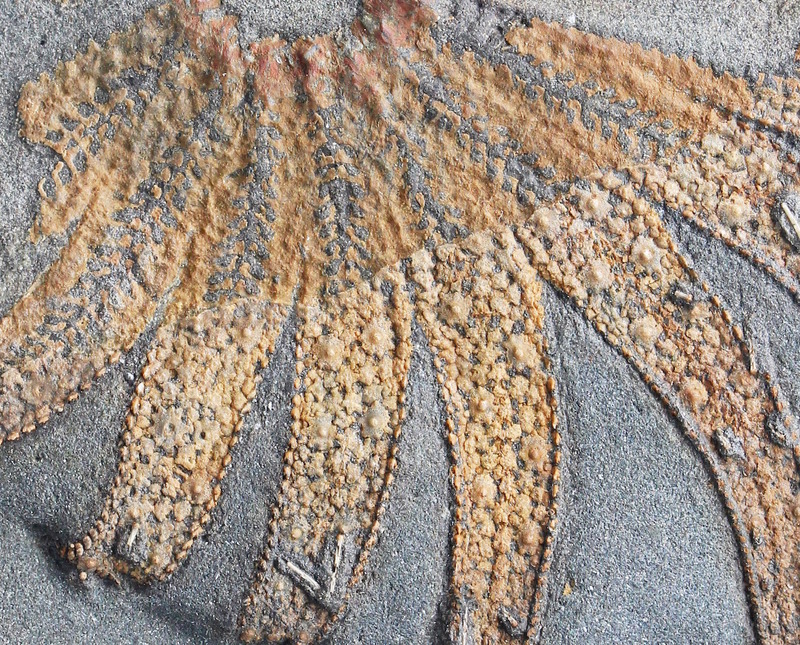 This is from the same area and formation as the holotype of its species. The distinctive ossicles are common as disarticulated elements in sieved samples from Pliensbachian to Oxfordian. Diagnosis: Multiarmed (12–22 arms) asteroids with broad adambulacrals which occupy the entire actinal sur- face of the arm and V distally: adambulacrals concavo- convex, 5–8 specialised interlocking articulation ridges and grooves articulate with ridges on adjacent adambulacral (modified ada2-3); abactinal ossicles with numerous lateral projections and embayments, and each carries a central large convex boss with which long, glassy, ridged spines articulate. Type genus: Plumaster Wright 1863, is the only genus included. It ranges from the Pliensbachian to the Oxfordian. Discussion: The Plumasteridae is established for the distinctive multiarmed genus Plumaster. This is distinguished from other multiarmed spinulosans such as solas- terids by the unusual boss-like spine articulations of the abactinal ossicles, and the highly modified adambulacral ossicles, which articulate by means of ridges and grooves. Wow!!! That is super cool!!! This is simply stunning, Tarquin! The close up makes it appear almost ephemeral. @RJB @Foozil @jewelonly Thank you, I admit it's one of my favourites. It was quite a surprise to see the detail when I started prepping it. You even have pictures of the tools use to prep this thing. Nice. Most folks never do that. Fascinating! And the hours spent prepping gave a wonderful result. 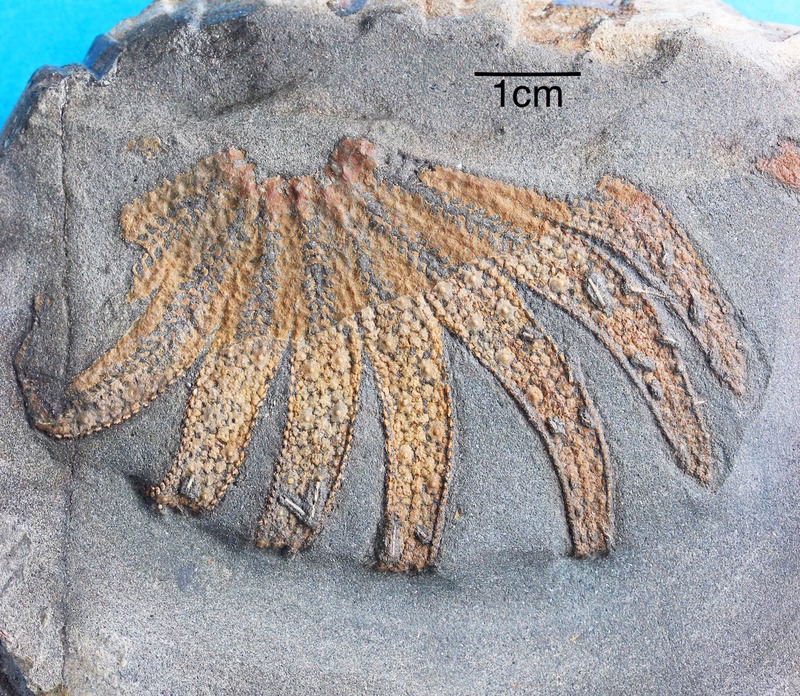 I think you have to stop posting only marginally interesting echinoderms,Tarq .